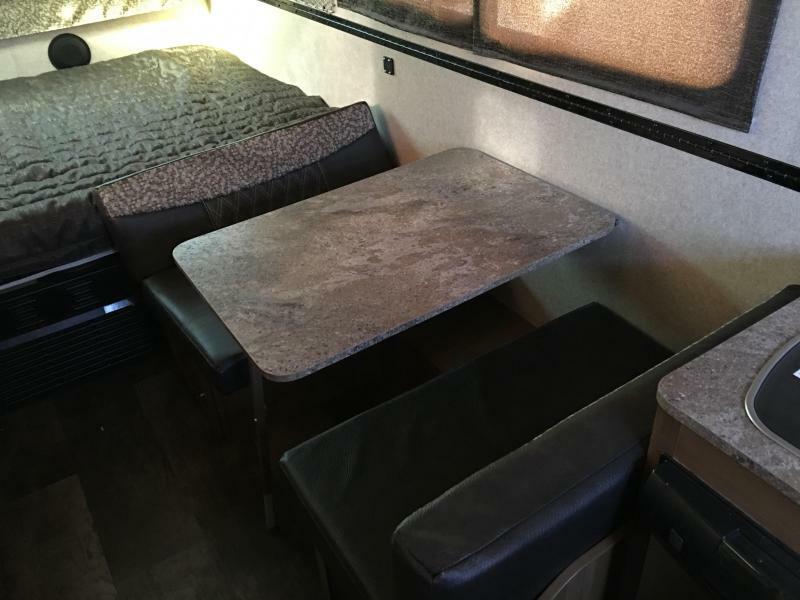 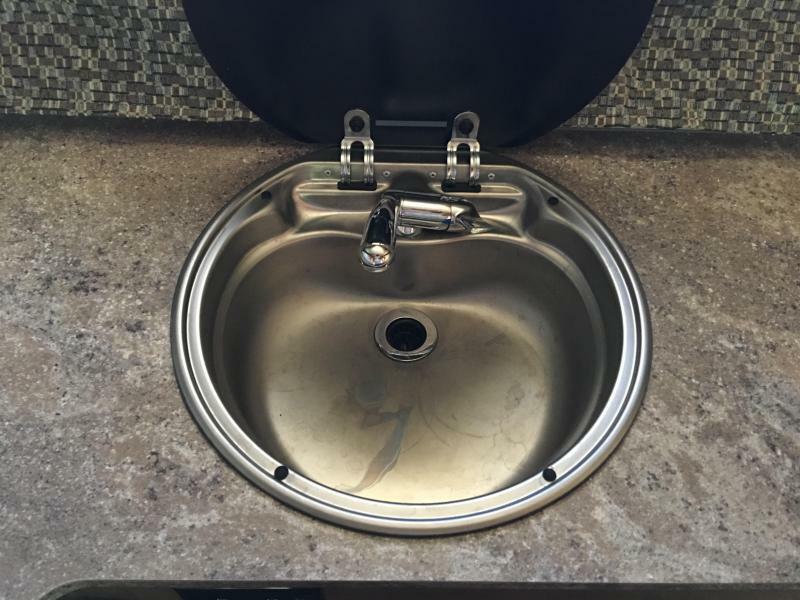 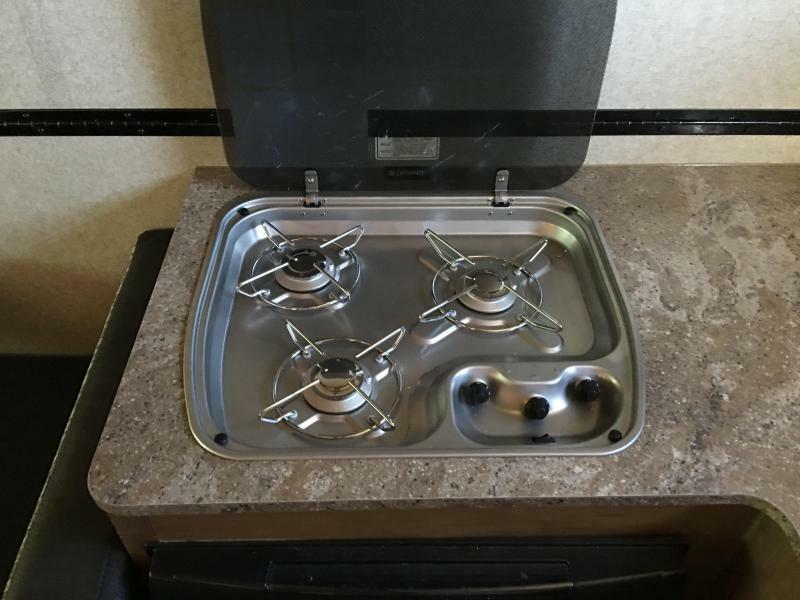 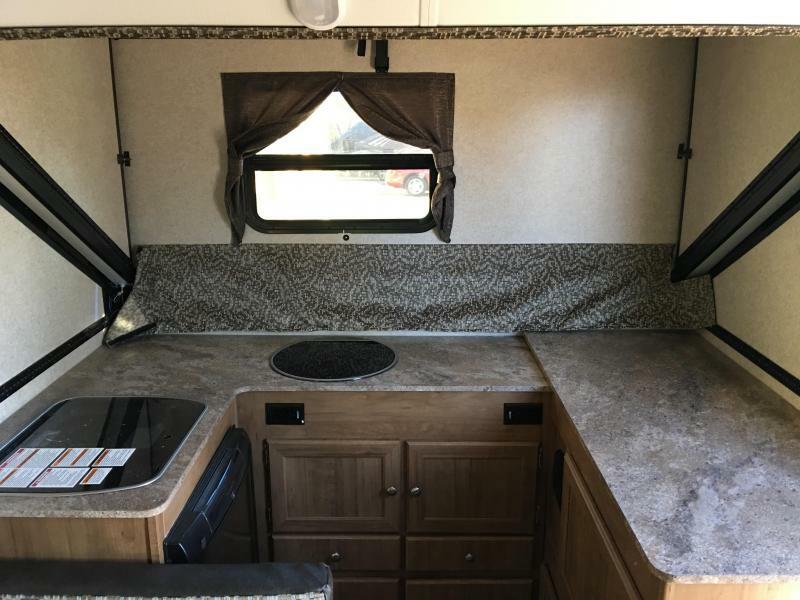 Along the road side there is a dinette where you can enjoy meals, and at night the dinette converts into additional sleeping space.The front kitchen area has a sink, three burner stovetop, and a refrigerator on a L-shaped countertop for your convenience. 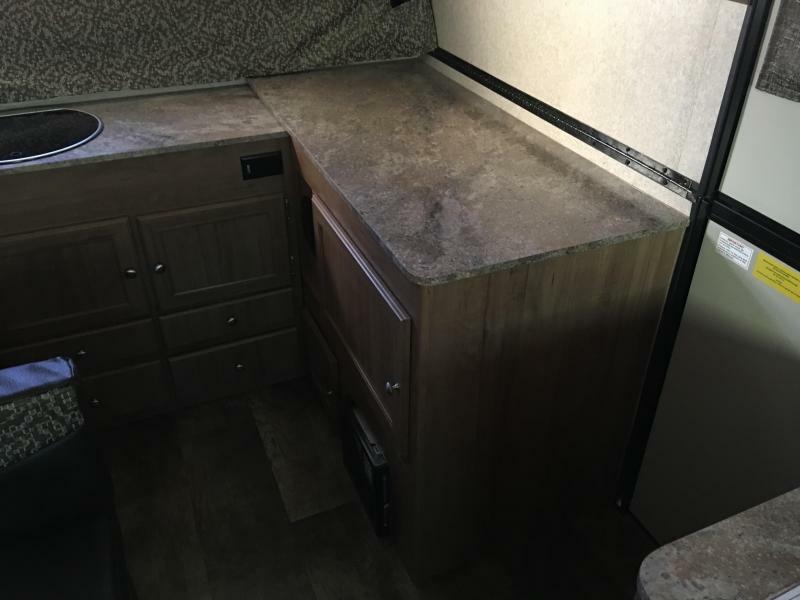 There is additional counter space and a storage cabinet along the curb side wall making a U-shaped space to make your favorite camp meals. 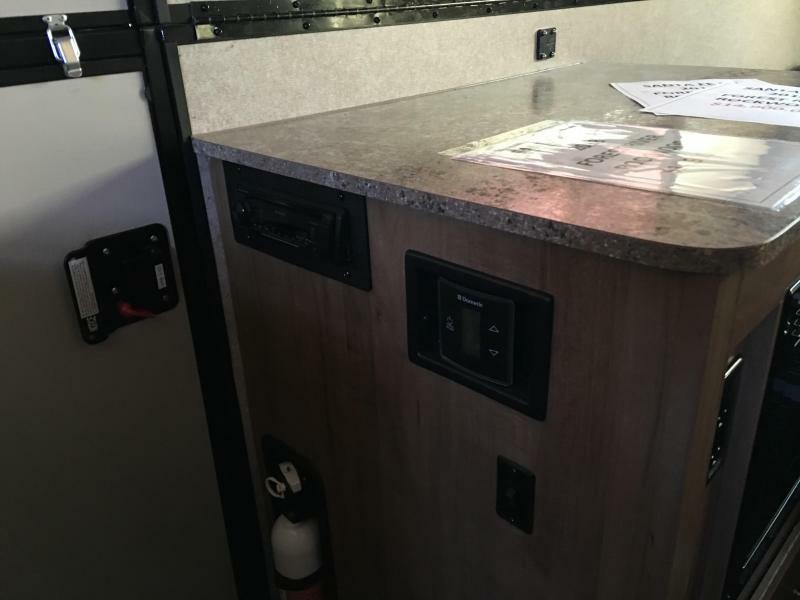 Plus the microwave is inside a cabinet next to the entry door. 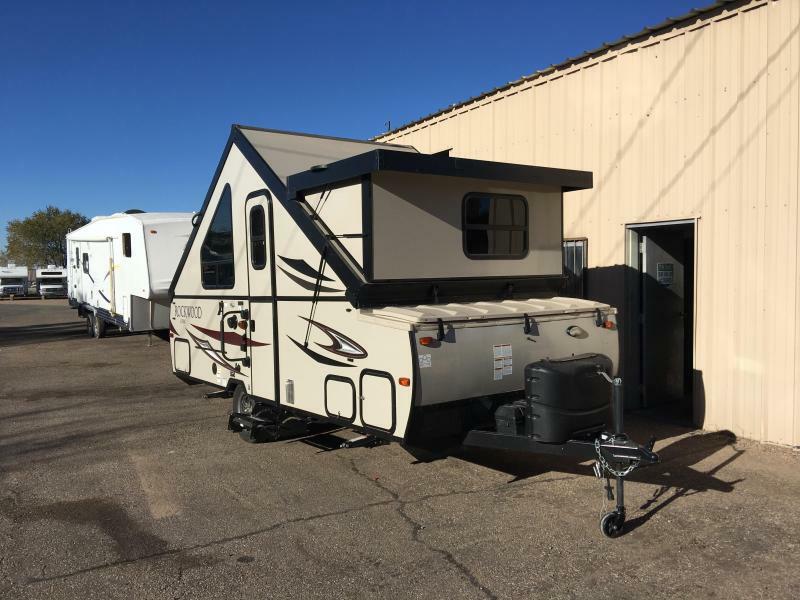 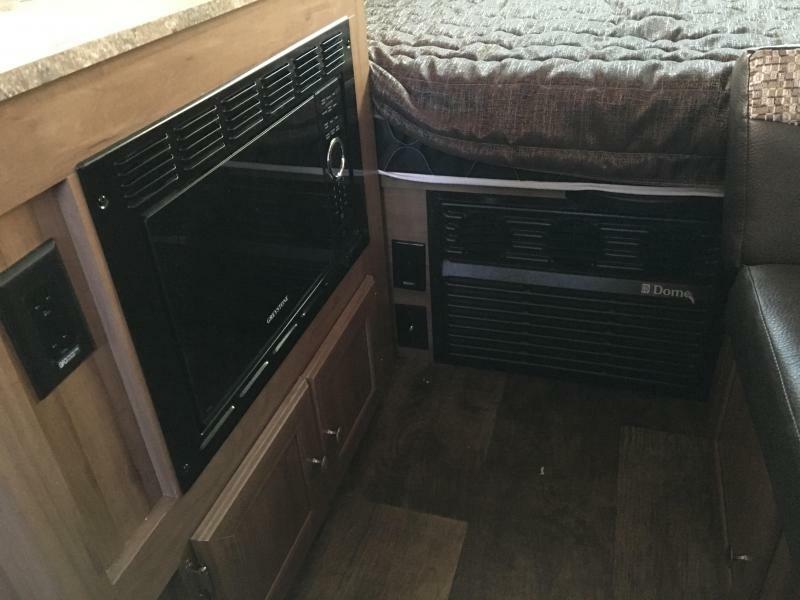 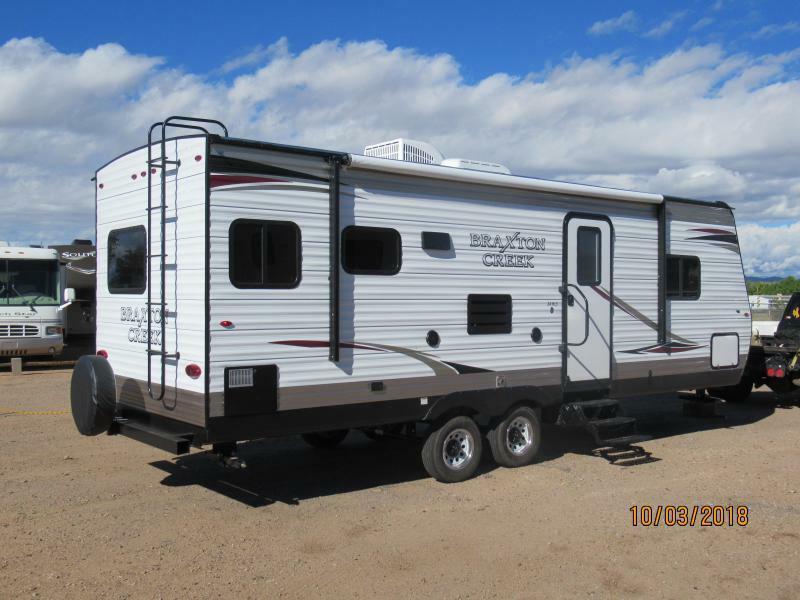 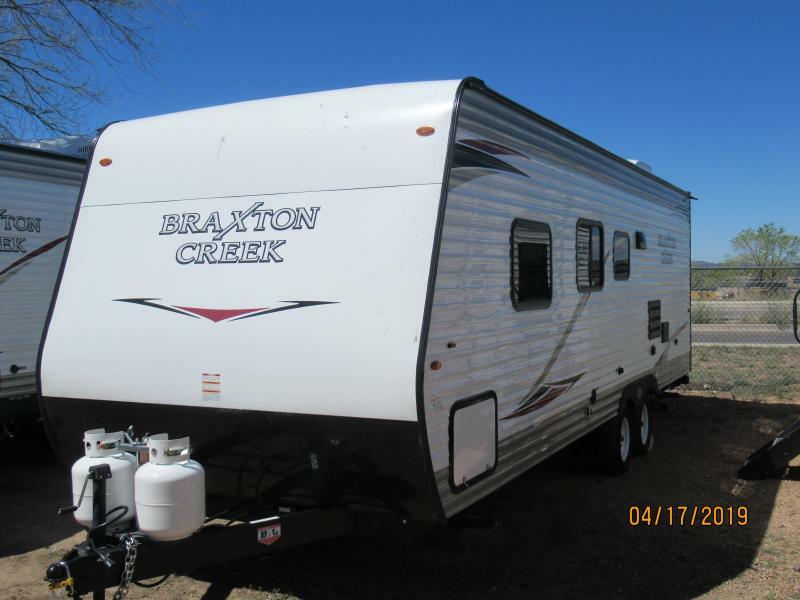 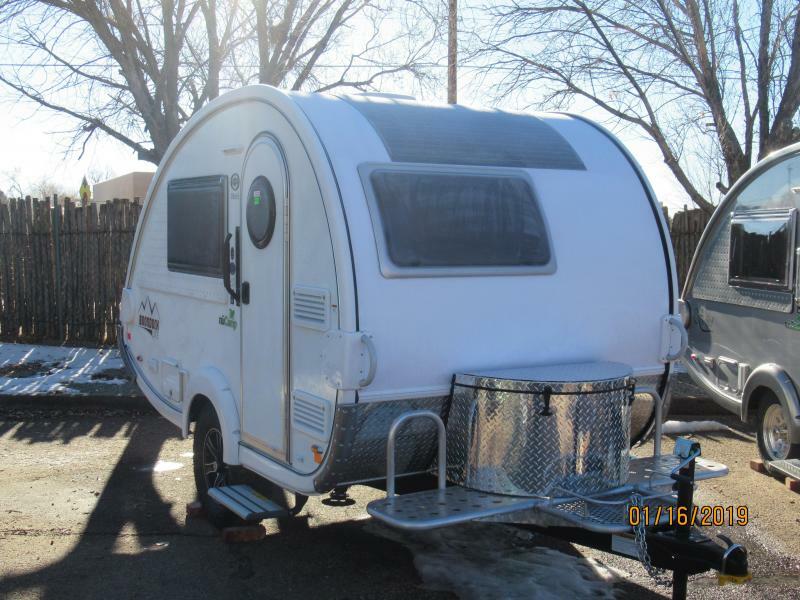 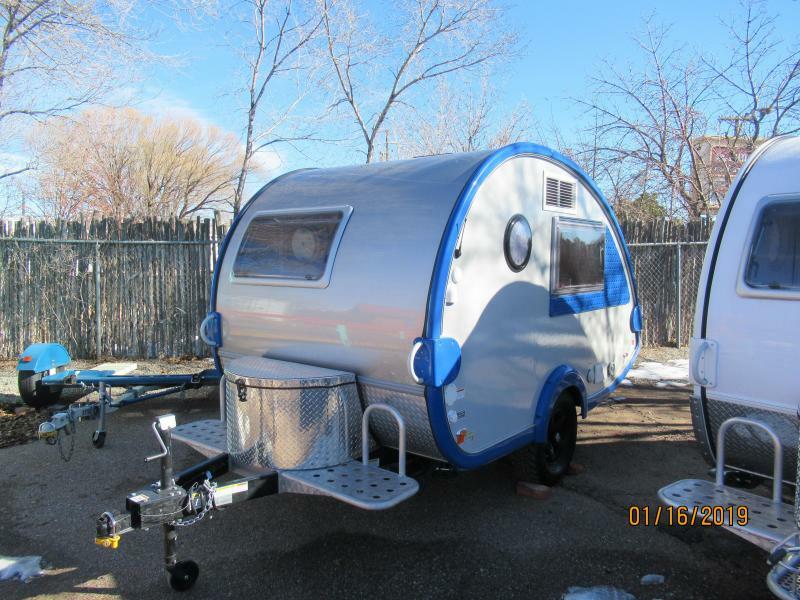 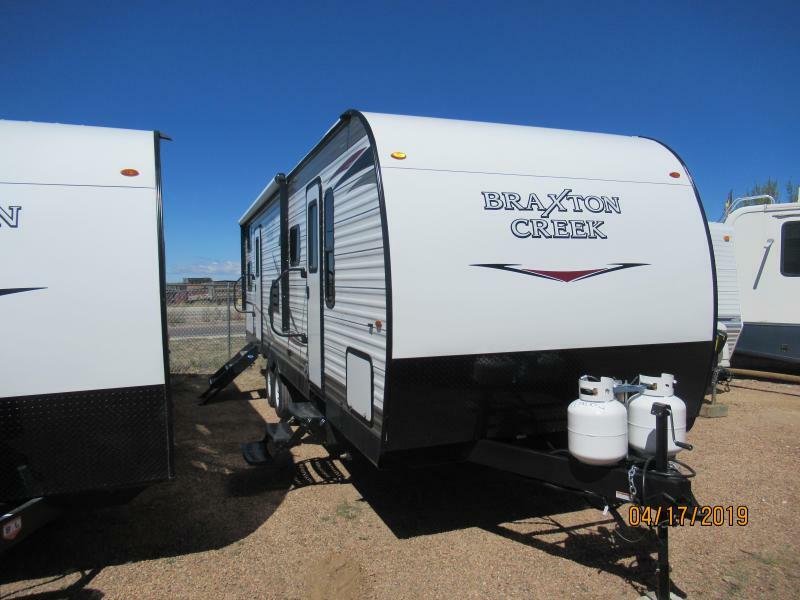 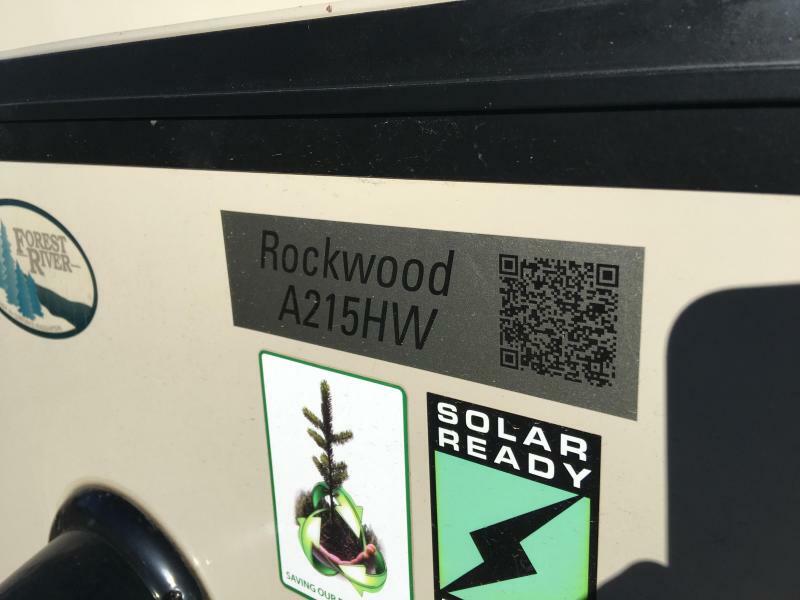 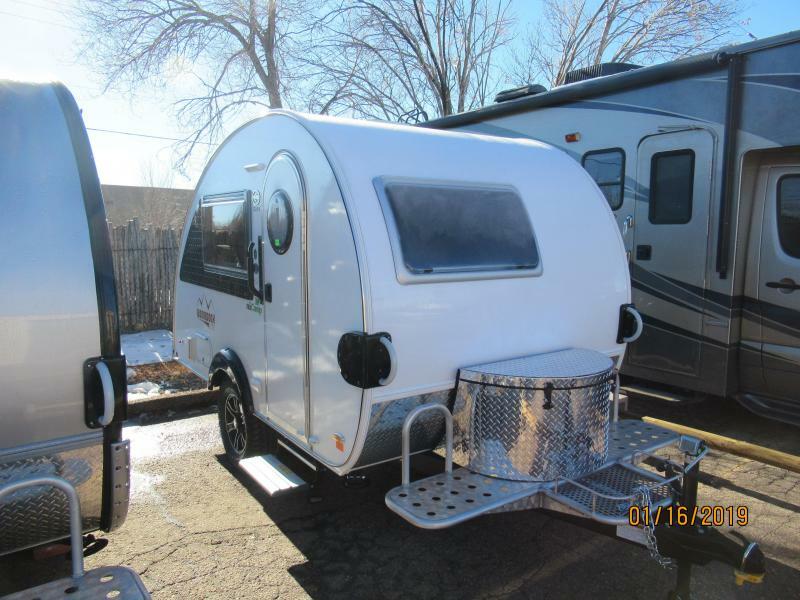 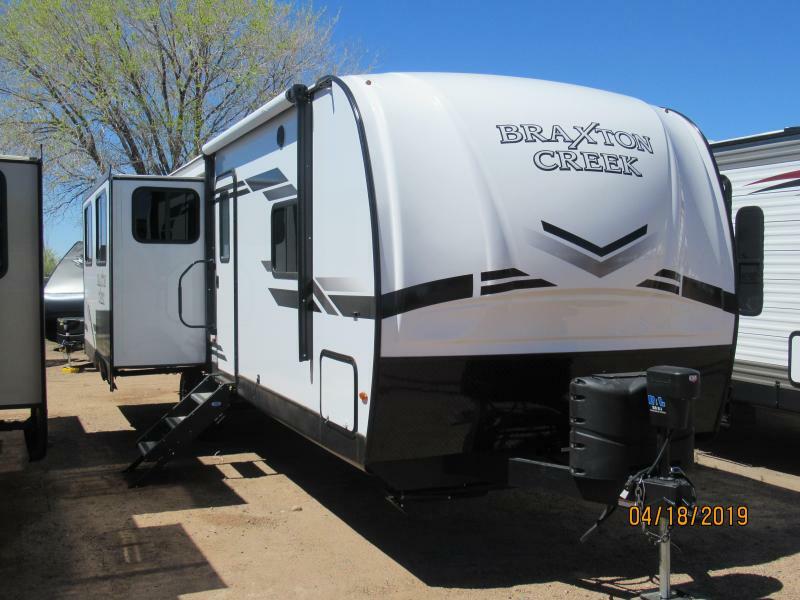 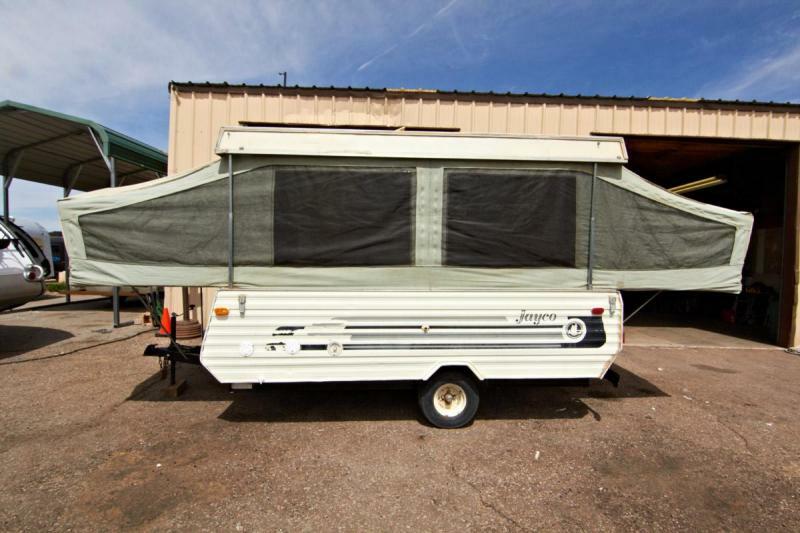 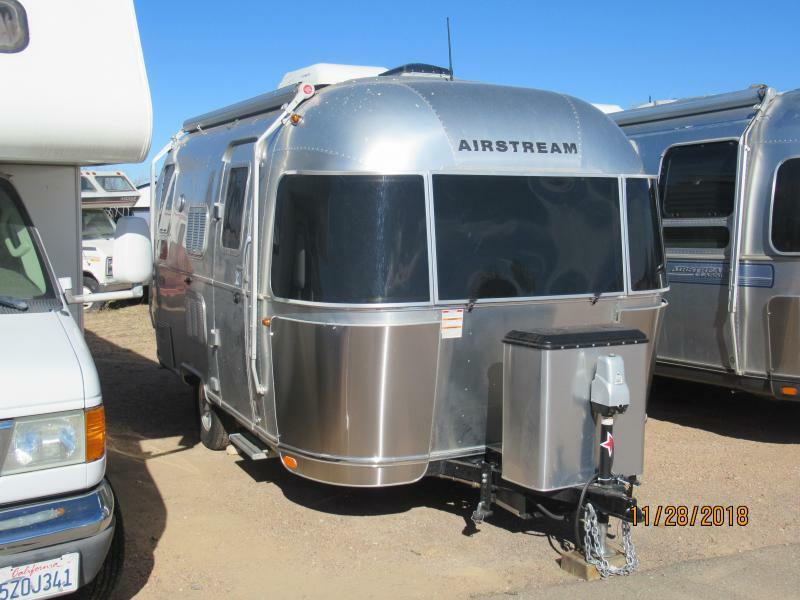 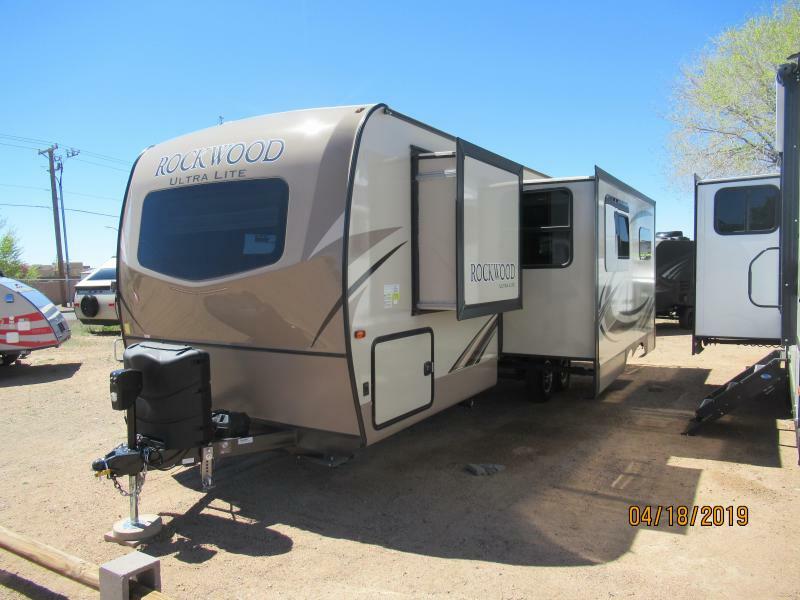 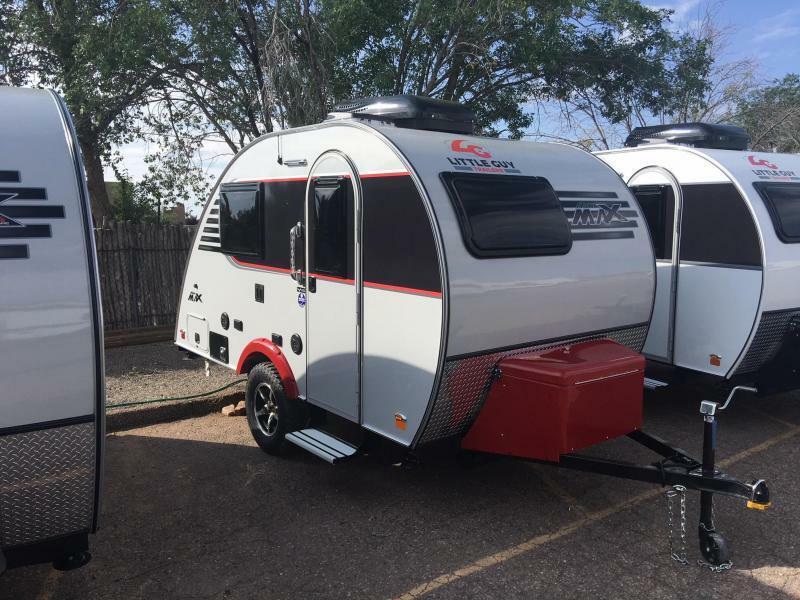 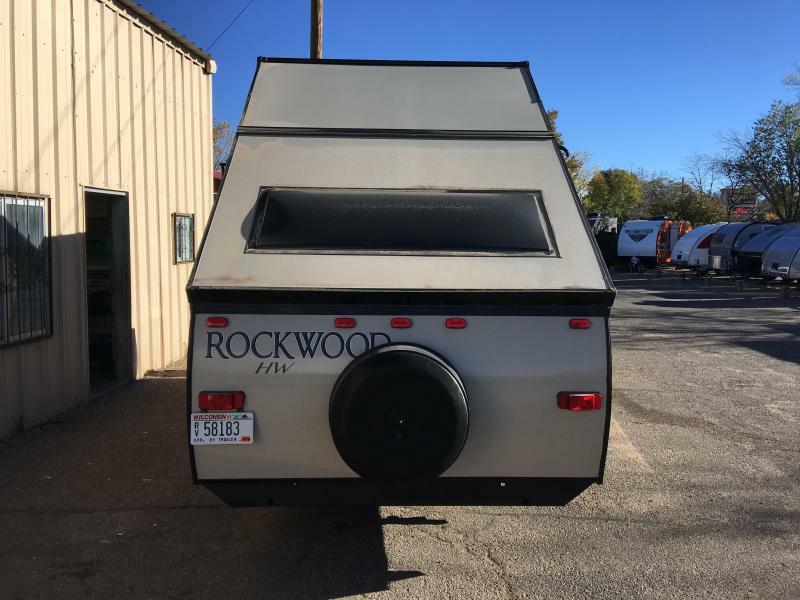 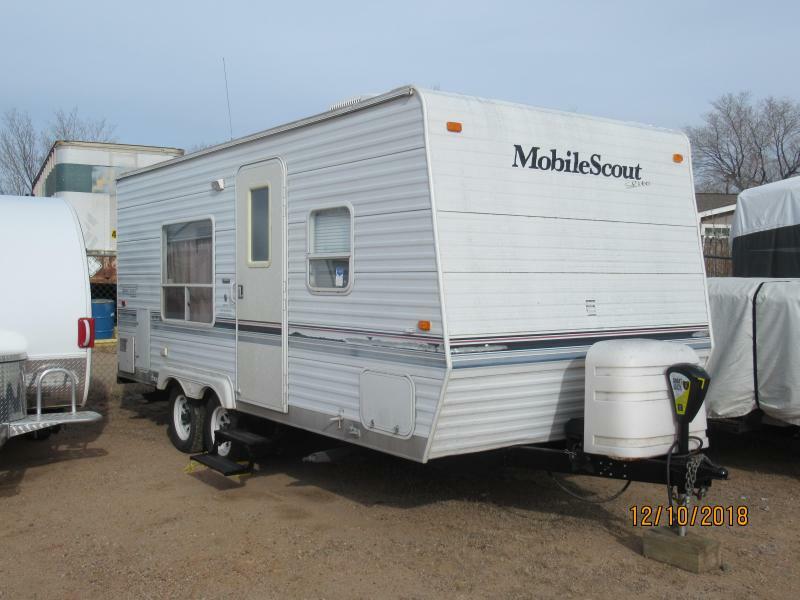 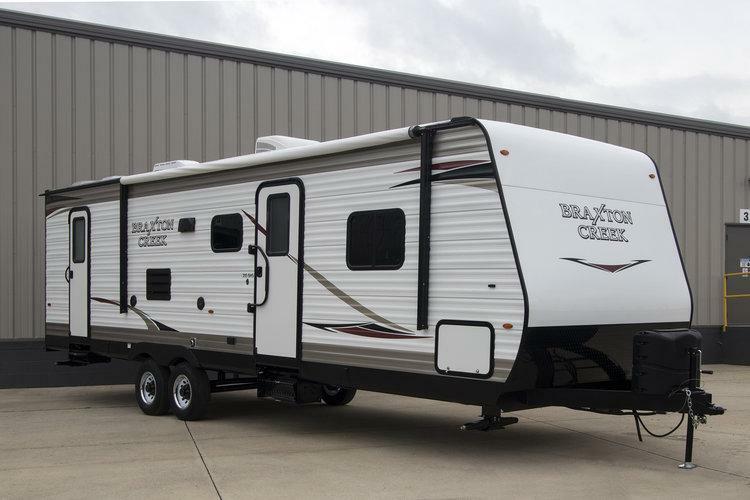 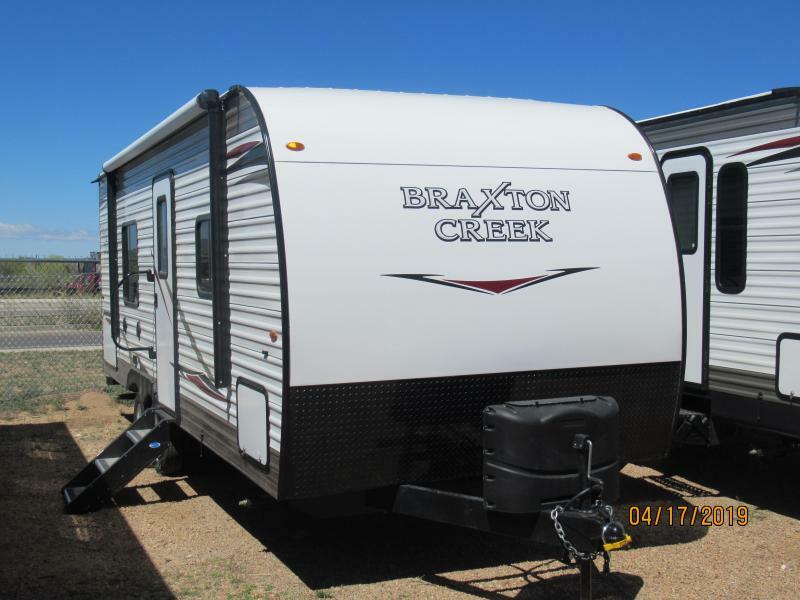 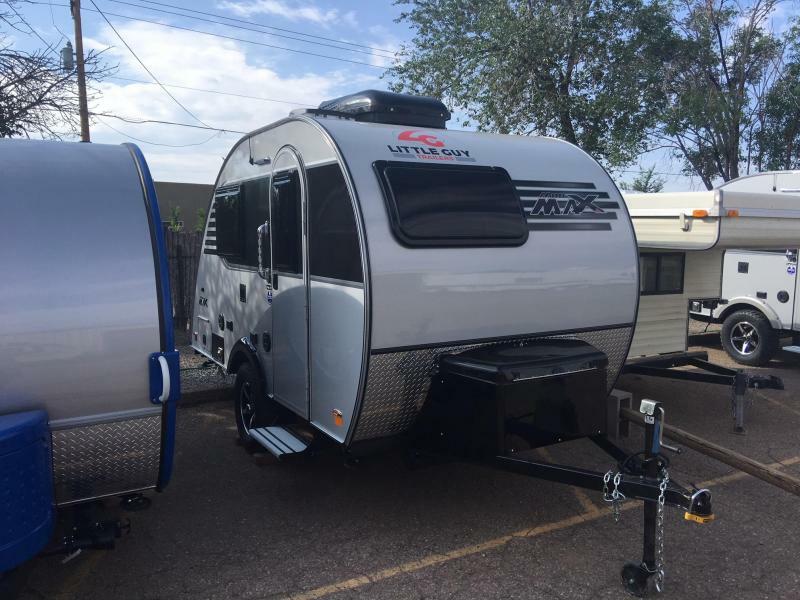 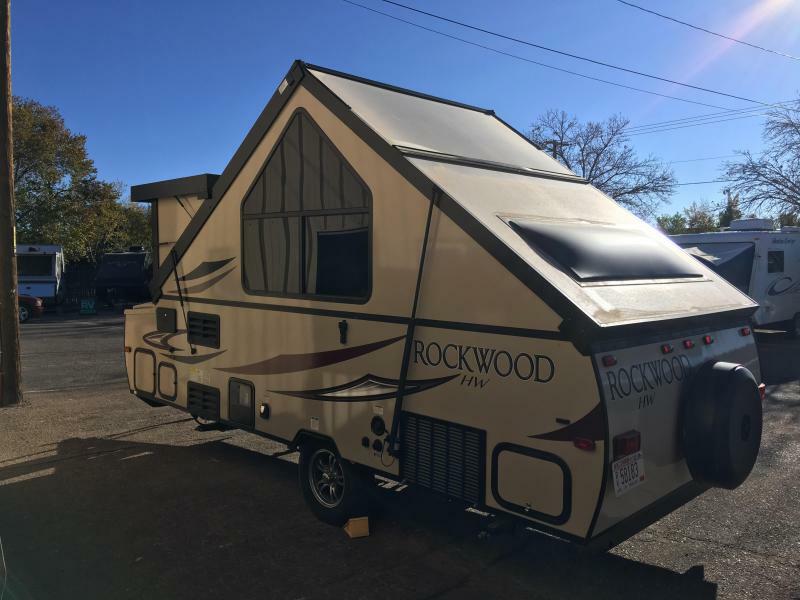 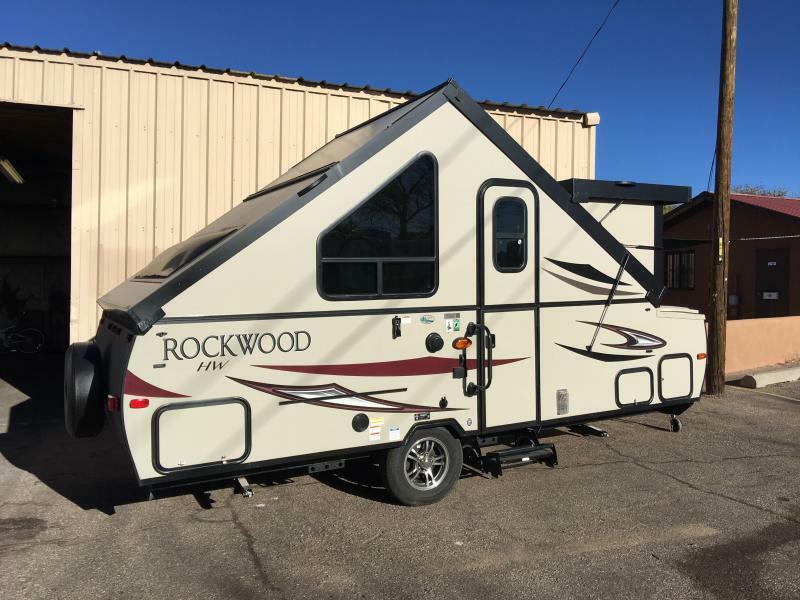 In the rear there is a 60" x 80" flip-up bed with the Cool Cat heat pump under the bed.Outside enjoy plenty of exterior storage for your camping gear, two EZ Reach storage trunks, a gas grill, and much more!